Sri Lanka launched an 130 billion rupee ($818.12 million) programme on Friday to generate entrepreneurship and rural development and boost faltering growth, officials said. The programme allocates 50bn rupees in concessionary loans in the next two years to create at least 100,000 new entrepreneurs and another 80bn rupees to boost the rural economy though a raft of development projects. 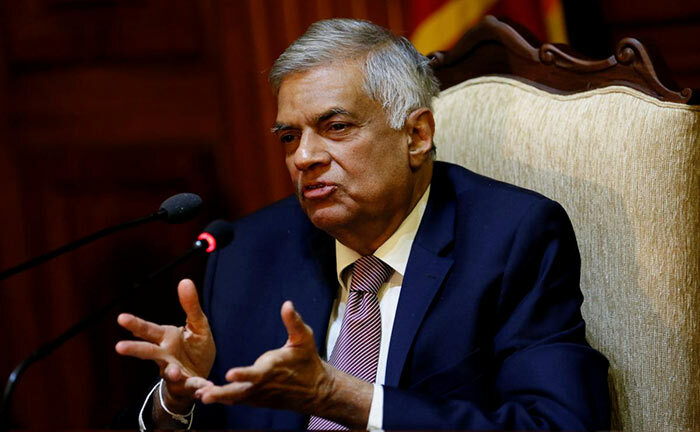 “We need investments, exports and money circulation for a stronger economy,” said Prime Minister Ranil Wickremesinghe. The Indian Ocean island nation’s economy grew 3.2 per cent year-on-year in the first quarter of 2018, cooling from 3.5pc in the fourth quarter of 2017. Analysts cited political disquiet and a weaker currency for the slowdown. Finance Minister Mangala Samaraweera on Tuesday said the economy is likely to grow about 4.5pc this year, below the central bank estimate of fivepc, in a sign that political uncertainty is curbing a more robust recovery after last year’s 3.3pc expansion, the lowest in 16 years. Growth was knocked last year by a combination of tight economic policies and drought and flood damage to agriculture. The International Monetary Fund (IMF) has forecast economic growth to rebound to fourpc this year. Analysts said 4.5pc growth would be possible due to recovery in agriculture after a series of weather-related disruptions, loose monetary policy, and strong global demand. Political uncertainties have also affected the economic outlook as the country’s ruling coalition eyes a presidential election next year. No harm dreaming of this paradise (economic hub) this guy is trying to create. Soon you will be able to buy a Volkswagen made in Sri Lanka. Ha Ha Ha. Hu Hu Hu. Hi Hi Hi. Mr Eng.M.V.R.Perera . Supreme law? Now you are joking. Sri Lanka has no rules and laws. Anybody can do anything and get away.